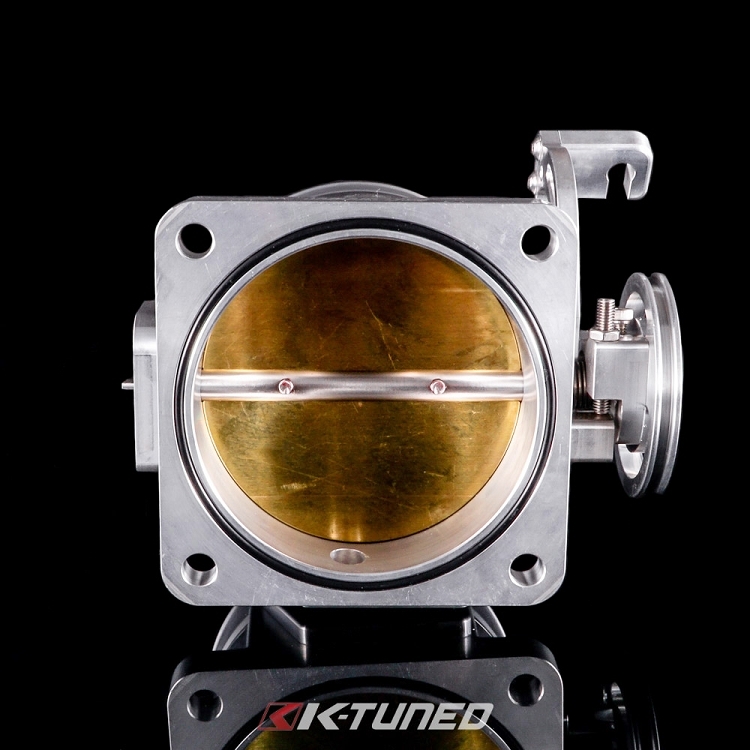 Big bore domestic throttle bodies have been making their way onto import engines for several years now and it is no secret that getting some of them working properly can be a painful experience. 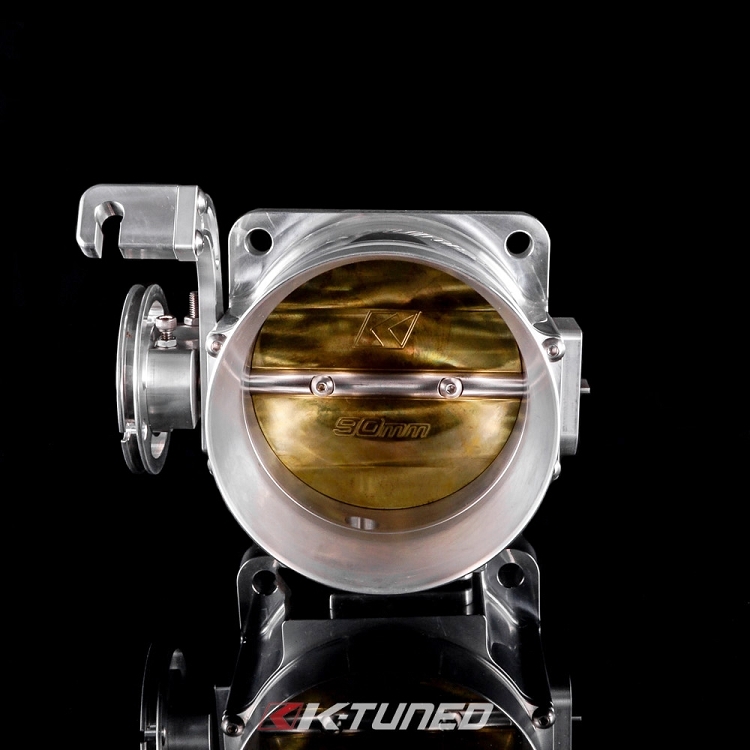 We saw the problems, so we designed our K-Tuned 90mm Billet Throttle Body and packed it with several useful features that will easily set them apart from the rest. 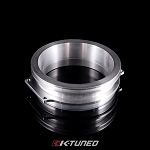 We started by making 6 interchangeable o-ring sealed inlets to match the most popular installs. 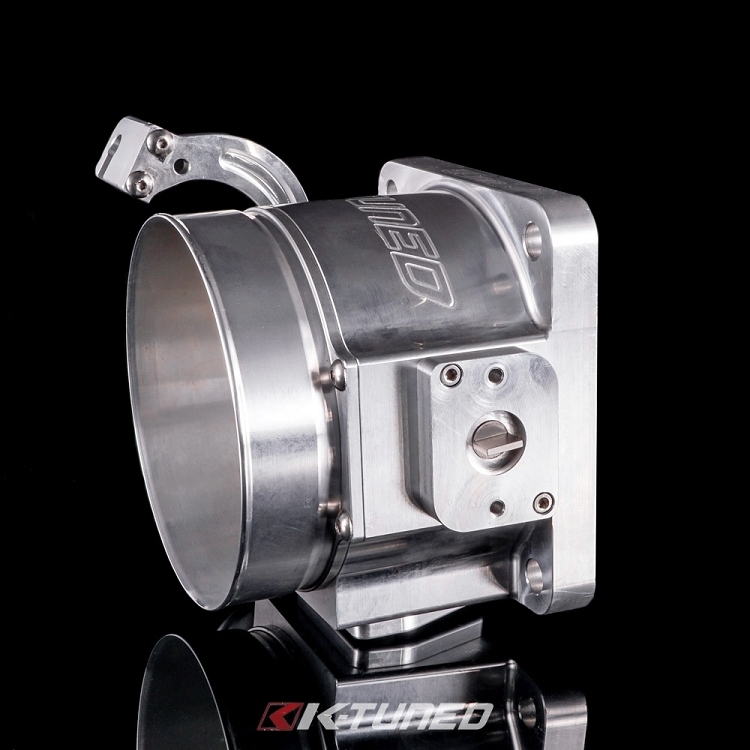 The throttle body comes with a standard 90mm hose barb inlet, but optional V-band or Vanjen (Wiggins style) inlets are available separately in both 3.5" or 4" sizes. 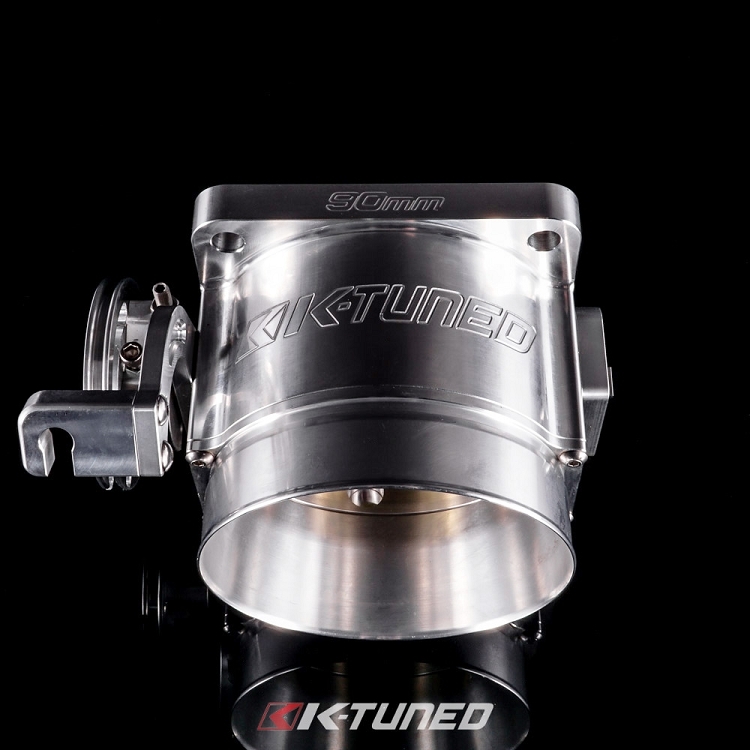 Connecting a throttle cable also presented some challenges, which are now a thing of the past thanks to our fully adjustable throttle rotor with 10 settings and the reversible throttle cable bracket. 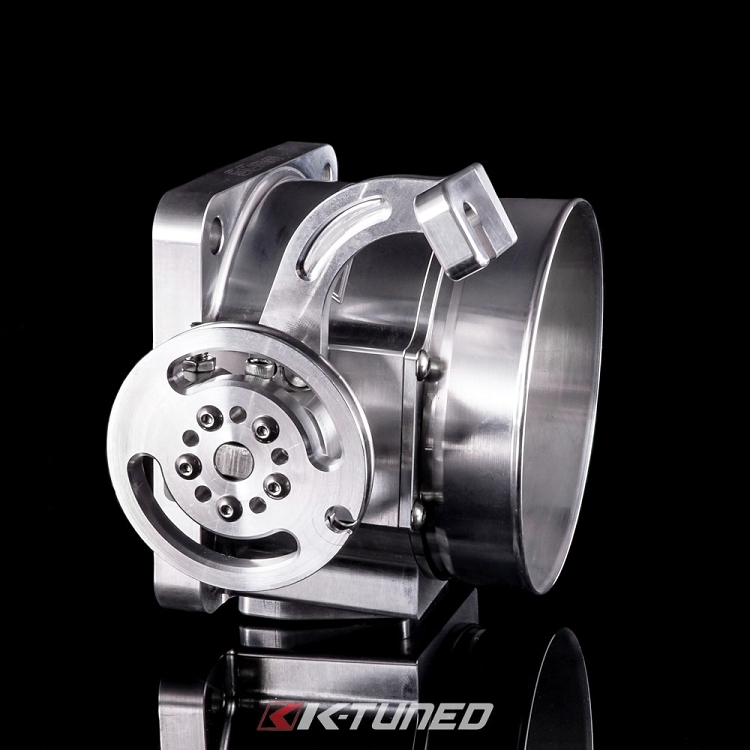 For the TPS sensor, you can use the popular mustang TPS. 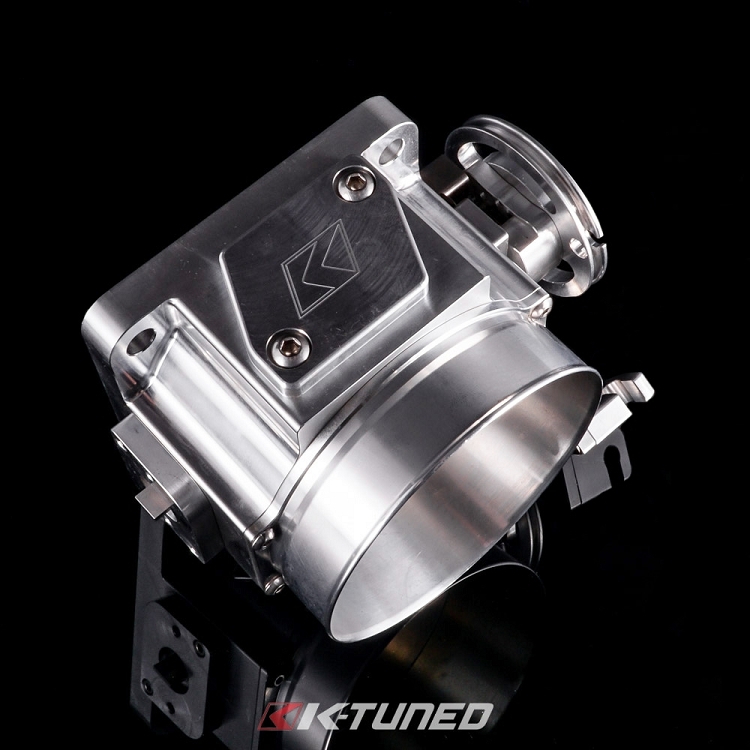 There is also an IACV port for a mustang IACV to help set this big boy throttle body idle. IACV block off plate is included as well.